There is a vast story behind the struggle of some of the first Black nurses in Bermuda. We highlight this story in our Nurses exhibit at the Bermudian Heritage Museum and invite you to come and learn all about it. 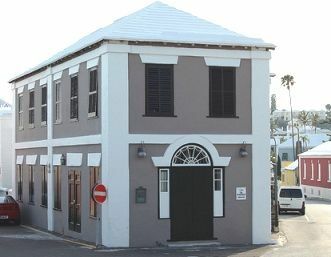 It is recorded that no hospital existed here in Bermuda other than Military facilities and the Asylum (now know as the Wellness Centre) until the Cottage Hospital opened its doors in Happy Valley Road in Pembroke on 1st. March 1894. The Hospital was enlarged several times and it had its financial challenges. This service lasted until 1920 when King Edward V11 memorial Hospital opened its doors. Once this took place it left many poor and sick people in the underlying neighbourhoods without ready medical services available to them. Dr. A. G. Pentreath a Doctor of Divinity was disturbed by this and felt something should be done about it. It was he who got the Friendly Societies involved in establishing a Nurses Association and building the Cottage hospital. Here nurses could be trained and go into the homes of the sick and give the much needed attention. Bermuda had qualified nurses as early as 1855 and they were in the struggle for equality to practice their trade in their own country. Some 20th century nurses who applied their trade were: Eliza Jane Lusher and Catherine Watson. Nurse Watson became the first Bermudian Nurse to work at the Bermuda Asylum which changed it’s name to St. Brendan’s and is now known as the Wellness Institute. The first permanent appointed Matron of the Nursing Home was Laurette I Williams R.N. the daughter of Solomon J. Smith. It was not easy as our nurses obtained qualifications in their fields and were still refused a job at the hospital. Yet they continued to fight on . For centuries the greater portion of nursing in the Island was carried on by black nurses, including the breast-feeding of other women’s children Q ( Mind the Onion Seed ) Nellie Musson. Many Black nurses followed in the foot steps of their grandparents it was a noble profession . The nursing profession wasn’t the only area where our people were denied . Learn of the difficulty the first black pharmacist Dr. Olivia Tucker had in trying to apply her trade here in Bermuda. It was so bad she spent most of her life overseas working and receiving honours in several other countries but was never acknowledged in her own homeland. 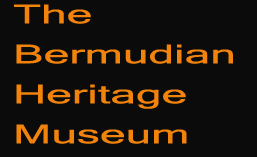 The Bermudian Heritage Museums aim is to research and bring to you our history no matter how painful. It is important that we learn of the struggle that got us to this point so we can move on. These were our heroes who endured much for us . The least we can do is learn of them and hold their banners high.